Beautiful home nestled on a cozy tree lined street in the heart of Belvoir, with easy access to all major arteries around town. This darling move-in ready, 3BR, 1 1/2BA home has many updated features including, vinyl siding, updated bathrooms and kitchen with custom cabinetry, back deck, storage building, brick and stone patio with fire pit to name a few. 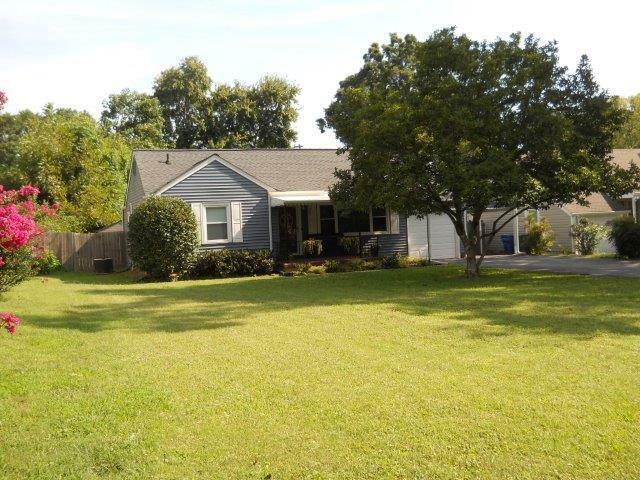 This home also offers a spacious fenced in backyard, single car garage and a single carport. One block away is the Brainerd Baptist Church/School/Park, and the BX Community Center; which offers a full fitness facility for those fitness enthusiasts. Schedule your private showing today!